Well I've really gone and done it this time. 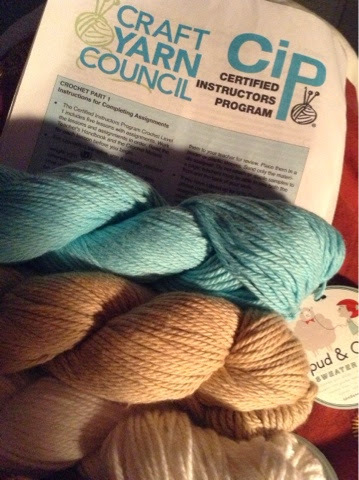 Signed up for the Craft Council's Certified Instructors Program Part 1. Part of the course is making and sending in swatches in different stitches so the portable project dilemma is solved (the ripple afghan continues to grow steadily each evening). Just had to go out to my local yarn store to buy some high quality worsted in light colors.